Online shops have been alive for a while now. Facebook and Instagram have allowed businesses to open accounts because there truly is a market online. 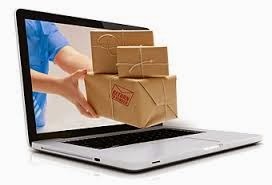 People now tend to enjoy the surprise of getting a package they’ve bought from a web store than actually going to a brick and mortar shop and going through all the hassle from traffic on the road to endless lines to the cashier. Shopping online has become more appealing because it not only saves you a few bucks, but you also end up with what you really need and really want. You become more critical on what to spend your hard-earned money on and make sure that when you do, it’s a best “sulit” buy. Of course, there are challenges in shopping online but there are a lot of perks, too! I’d like to share a few to you and have high hopes that, if you haven’t tried it yet, you will try to buy one product online this Christmas season—just for the sake of experience. It becomes less frustrating when you can't buy what you want. It hurts a little but it’s easy to find something that will make you happy in the end. You can get a list of options and decide in the end which one you really want. You can even haggle a little! Compared to shopping in malls where the price on the tag is fixed unless there’s a sale on that item you want to buy. Most online shops are on sale! Online stores usually post a discounted price for the products they sell and are usually a lot more affordable than mall price. Most online shops have a return policy that when the product doesn’t fit you or you’re not satisfied with it, then you can return it for a replacement. Make sure you read what applies to them before you click on order. Fast and easy! Just sit in front of your computer or phone, choose your best option, make an electronic payment and…voila! The purchase is complete and all you have to do is wait 2-3 business days (or longer) for your purchase to arrive a box. I’ve experienced the joy and excitement of getting a package delivered at home and opening it is like Christmas morning. I’ve bought quite a lot online, myself—from clothing, shoes, baby toys, I even bought a sewing machine online! So I’m telling you from experience that it is okay to buy over the web. It saves you a lot of time, money and effort and you get to taste a different kind of excitement when browsing through products compared to looking at them in shelves. We all have different preferences. But we will all do something similar this season. It’s to sacrifice our hard-earned money to make someone happy. May the spirit of giving be upon you all this season. Happy Christmas Shopping!